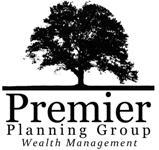 Interested in Attending a Premier Planning Group Event With Brion Harris? We have several fun, specialized and themed events going on throughout the year that encompass a wide variety of interests! Due to the small and intimate nature of the events, we are simply unable to invite everybody to each event. If you have a guest that you would like to bring to introduce to Brion, please contact Talia Grover at 443-837-2529 or submit the form below for a list of different event options and to be sent a formal invitation for you and your guests. Brion offers various educational events throughout the year for his existing clients. If you are interested in attending an educational event or would like to learn more information, please contact Talia Grover at 443-837-2529 or through the contact form below.